Think about it. If you were to choose one room in the entire house where you could put your heart and soul into designing it, what would it be? The living room, right? It’s the focal space of the entire house, the room where everybody meets! Having a large living room gives you all the freedom you need to create the place you’ve always dreamed about, but that task isn’t an easy one. Large living room ideas and designs can be tricky due to the sheer size of the living rooms! In today’s article, we’re going to give you a few large living room ideas – how to decorate, how to add armchairs, sofas, fabrics, colors, and so much more! Is it a relaxation space or are you going to watch television, read, play family games, and entertain guests? If you’re a big party thrower, then make sure you have enough space and seating in your large living room for guests. However, if you’re more of a sitting down type, create various spots in your large living room, such as a reading spot or a media zone. It is very important to designate areas because it is the only way a large living room can be a success. A large room can’t only be a sitting area, it needs more functions, so get busy and create them. A conversation zone, maybe a writing desk/office, a game table, dining area, or a nice spot by the window where you can relax with a good book and a cup of Earl Grey. The space you have is the most important tool to help you with your large living room ideas and designs. A large living room will allow you to incorporate bold pieces of furniture, art, and many designated areas, so learn how to work with a large space. Creating a focal point in a room is vital, especially with a large living room. Most commonly, a window or a fireplace are the focal points of any living room. However, they can also be a large piece of furniture or a TV set (although we don’t recommend it). The focal point of the room should stand out, but it should not get all the attention. It’s a fine balance, we know. Still, if you’ve got the eye for it, you’ll be able to figure it out on your own without any outside help. If you’ve always wanted a nautical/beach theme in your living room, then the colors and pieces of furniture are already predetermined. Also, don’t forget about symmetry, if you’re into that. Some people thrive on symmetry, and without it, they can’t really enjoy a space. If you need some color ideas, check out our article on 15 Most Inspiring Living Room Color Ideas for 2018. No matter the size of your living room, lighting can have a huge impact on how the room presents itself and its atmosphere. If you’re lucky to have plenty of windows, rely on natural light when designing your room. If you’re not blessed with a sunny room, try this: stand in the middle of your living room after the sun has just set with no artificial lighting and observe the dark corners that will not look so good in the whole layout of the room. Once you know where those spots are, bright them up with a lamp or some ceiling light. Whatever it takes to bring some light into your home! You think that if you have a large living room you can’t have clutter? You are wrong! Seating in the most important element in your living room. Therefore, let’s take a look at some large living room ideas for that. Owning a large living room can make the shopping for seating and storage quite tricky. However, we’re here to help you out and make sure you choose something that is both comfortable and stylish. It doesn’t matter if you’re choosing furniture for entertaining guests or relaxing. You may even want to catch up on the latest episodes of House of Cards. A large living room can accommodate statement pieces. 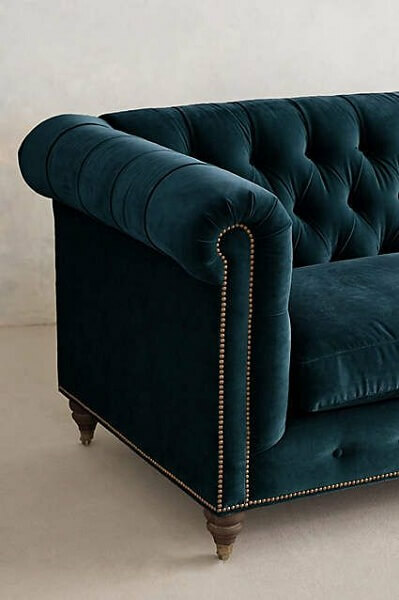 Therefore, when it comes to chairs, choose upholstered armchairs or a bold and luxurious chaise longue. You can stretch your tired legs on it and feel like the queen/king of your castle. Don’t be afraid to add vintage furniture to your modern living room. It can complement it beautifully. A large living room almost begs for bold chairs and armchairs. A modular seating system or couches with complementary and not coordinating armchairs is much more fashionable than the classic three-piece suit. Back in the 70s and 80s that was considered the epitome of chic. Whether you plan on getting a classic Knowles or a deep buttoned sofa, we suggest you do some serious research. Only after should you choose something. Depending on your budget, you can choose Ikea or a nice handmade Italian couch. They are built to last a lifetime and then some. The thing that makes affordable couches really great is that you can change them every few years and not feel sorry for doing it. Good couches have frames made of hardwood and are screwed in place. Also, they are padded with natural materials, such as feather or feather and down. The cheaper ones have softwood frames. They are glued instead of having screws in place. The couches have cushions made from foam or polyester fiber. There are pros and cons to each. Therefore, make a list of your priorities and wishes before going couch shopping. Getting the proportions right is another vital thing when deciding on a couch. Measure your space once, twice, thrice, then take a break and measure again. You do not want to come home with a couch and see that it doesn’t fit the space it should go into. We know that in the era of online shopping, trying before buying isn’t an option anymore, but whenever possible, we think you should do it. You might find a sofa visually appealing, but you never know if you’re going to love sitting on it. Before buying, you should check the company’s return policy. Also, think about investing in a few machine washable covers if you have children or pets. It may not be stylish, but it is a sensible choice. Choosing the right fabrics and patterns can make or break a design or your large living room ideas. Also, it can be a little intimidating. Therefore, we recommend you start with a fabric that you love and then start thinking about what you want to do with it. Whatever you choose, keep in mind that it is going to be the basis of your color palette for the living room. You should start building on that. Don’t be afraid of fabrics with a pattern, but don’t abuse them either. They are great for covering a chair cushion or even an entire couch, for borders on curtains, or covering an area. A large-scale pattern is perfect for a large living room as far as large living room ideas go! Texture is extremely important when it comes to fabrics. It adds layers and movement to an object and a room. Consider leather, fake fur, cotton, and silk, or even velvet for a luxurious and classic design. Once you get your large living room ideas, fabric-wise, imagine how the entire space is going to look like. You can even use an app for that or a computer program. You should always have a floor plan before you start. In this way, you can see where the windows are and how you can best take advantage of natural and artificial light. We hope we’ve given you a peek into the world of large living room designs and provided you with enough large living room ideas to go on. Now that you have the basic tools, you can start designing your living room. Don’t stop learning about interior design, because in this area, there is no such thing as knowing too much. Always keep in mind that you should have fun doing it. Moreover, if in the end, there’s something that doesn’t quite resonate with you, you can always change it later. It’s your room, your house, your rules!